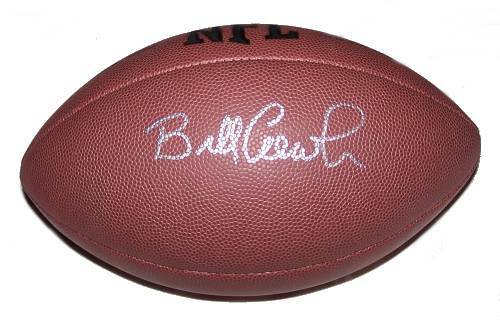 A Wilson NFL football signed by former Steelers coach Bill Cowher. Comes with a Certificate of Authenticity. Bill Cowher is a former American football coach and player. Cowher resigned after 15 seasons as the Steelers' coach on January 5, 2007, 11 months to the day after winning 2005–06's Super Bowl XL. He currently is a studio analyst for The NFL Today ~ Wikipedia.